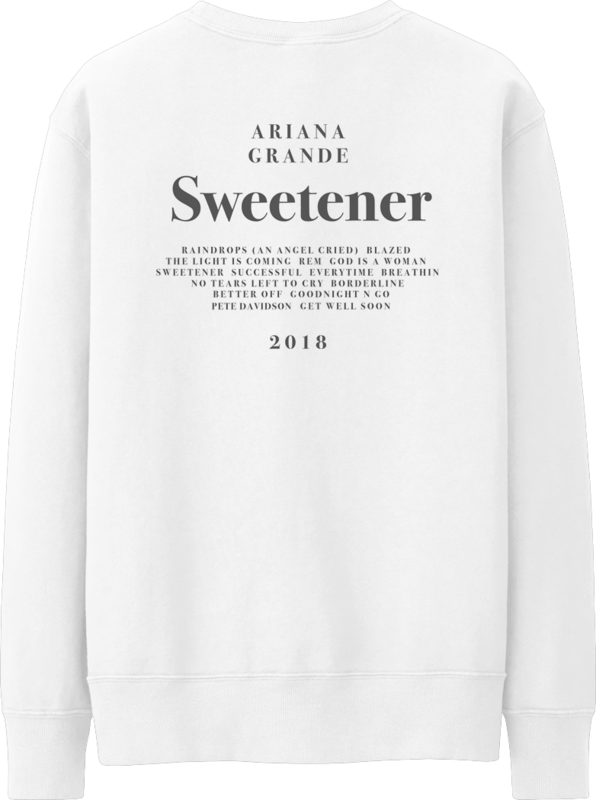 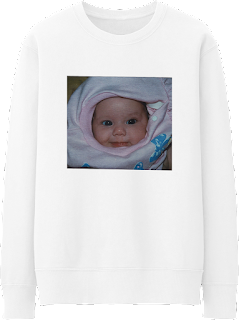 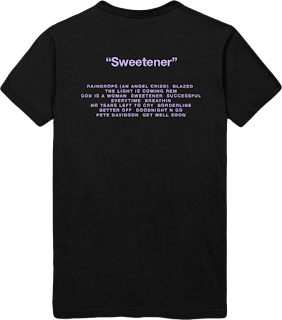 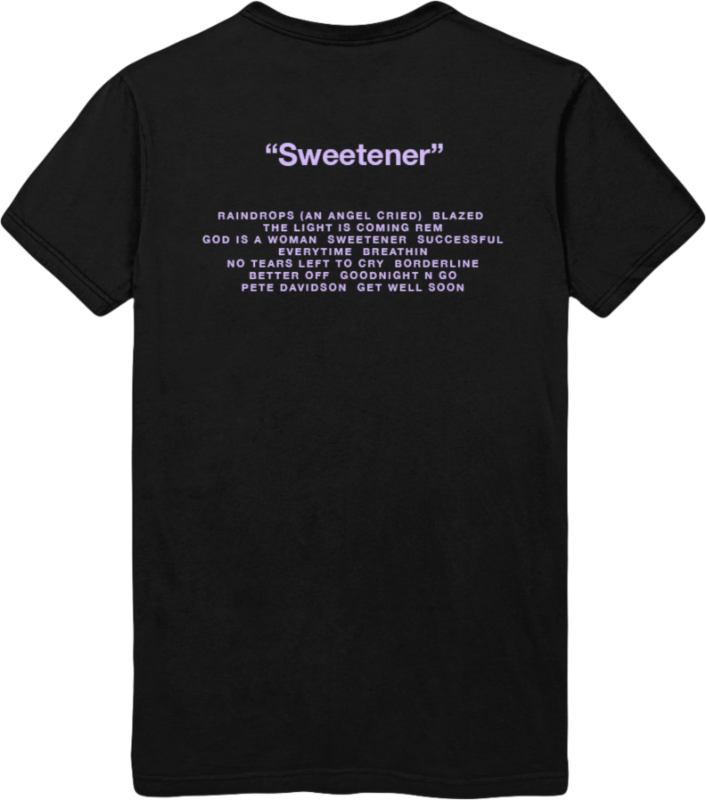 On the back of four consecutive 24 hour only extremely limited product releases, Ariana Grande released the full Sweetener collection April 16 at midnight to coincide with the release of her fourth studio album of the same name. 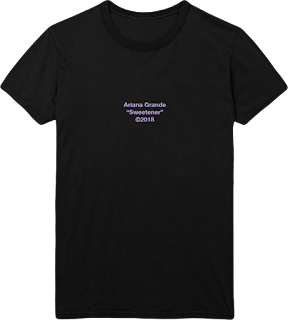 The 6-piece collection will be exclusively at shop.arianagrande.com at 12 a.m. EST. Each purchase includes a digital copy of her new album.